The VQ35DE is one of Nissan’s greatest modern achievements, which ultimately led to the VQ37. The main reason that the VQ35DE was such a great accomplishment is because of its versatility. It made an impressive 300 horsepower, whilst keeping 22+ mile per gallon. The JDM community praises the VQ35DE, but is it really that good? The VQ35DE is a 3.5L V6 that replaced the VQ30DE found in the Nissan Maxima from 1995 to 2001. Nissan achieved such high horsepower per liter using dual overhead camshafts, and 4 valves per cylinder. RELATED: 350Z vs 370Z: Which One is Actually Better? Not too surprisingly, the VQ35DE features aluminum cylinder heads and an aluminum cylinder block. This helps keep weight down, which is important for balance in a sports car. You really don’t want a heavy engine on the nose of your car when handling is important. 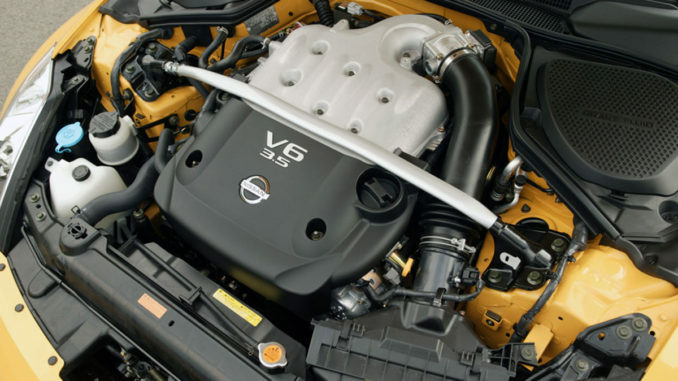 All VQ35DE engines feature Nissan’s variable valve timing system (CVTCS). 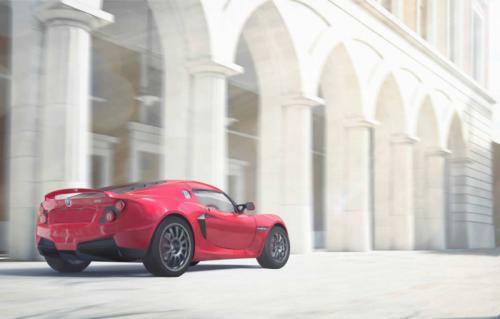 This further improves power and decreases fuel consumption. The VQ35DE is a versatile engine with its good horsepower and low fuel consumption. Because of this, Nissan used it in multiple vehicles. RELATED: 240Z vs 280Z: Which One is Actually Better? As you can tell, Nissan stuffed the VQ35DE in just about every product they’ve had over the last 15 years. If that’s not a testament to its versatility, then I don’t know what is. The performance data for the VQ35DE can be a little hard to understand online. This is because throughout the many vehicles it came in, and the different versions of the engine itself. Luckily the folks at Wikipedia have made the performance data easy to understand. Additional VQ35DE information is available on Wikipedia. The 2003 – 2004 350Z wasn’t the “rev-up” version of the VQ35 engine and produced 287 horsepower. The 2005-2006 350Z were “rev-up” engines and produced 300 horsepower. The Rev-up engine produced more horsepower by adding variable valve timing to the exhaust camshaft. Also added was a different ECU, slightly different internals, and a different intake plenum. All of this added up to the 300 horsepower it produced. As a car guy, this is the part I find interesting. Although the VQ35 is an interesting engine in stock form, we find modified engines more interesting. One of the quickest ways to see how powerful a VQ35DE can be is to look at Nissan’s race cars. The Dallara T12 which races in the World Series by Renault uses a VQ35 engine inside. The Dallara T12 makes an insane naturally aspirated 480 horsepower from the VQ35 that powers it. The VQ35DE is also in many other Dallara race cars, all of which are equally insane as the Dallara T12. RELATED: Ford Modular vs Chevy LS: Which V8 is the King? Enough about the race cars already let’s hear about street cars! Some people will build a naturally aspirated VQ35. Some naturally aspirated builds can reach as much as 400whp. But, that takes an insane amount of time and money. The average tuner would rather boost their VQ35 because the performance per dollar is so much better. Unfortunately, the VQ35DE is limited to about 400whp due to weak connecting rods. However, with a built internals the stock block can take 700whp or more if you’re crazy enough. Just like any other engine in the world, the VQ35DE has some issues. The Rev-up version, in particular, is known for excessive oil consumption. This issue affects the standard VQ35, but not nearly as often. Many owners complain of a loud rattling noise on startup which is typically the factory timing chain tensioner. The tensioner is known for not being the best quality and can cause major engine damage if ignored for to long. The poor tensioner can cause excessive timing chain wear causing it to fail prematurely. So the VQ35DE is a versatile and reliable little engine. Nissan stuffed it into many of their products over the last 15 years. Not only can it make excellent power, but its fuel efficient, and reliable. It also has lots of tuning potential. The reason people don’t talk about the VQ35 is the high cost for an N/A build. A Chevy LS swap is cheaper and has more potential for high horsepower. Basically, Chevy LS swaps have forced the VQ35 into the shadows. This dropping cost of a used 350Z, however, is changing this issue. On VQ35HR there are no problems with the couplings, my motor (already now), the motor ran 107,000 km (further sold), I did not have any problems with them, well, in general, in 4 years of communication with other owners, I did not hear that on the 350Z, Then I suffered with couplings. I have a 2007 infiniti m35x, i always find my oil level in the middle point or close to low after every month or two of an oil change. I have changed everything, spark plug, o-ring in oil filter, valve cover gasket and now i am comsidering using a different oil. I am confused. I have a quick question, I have an ecu for an 05 Nissan Altima SER that has the VQ35DE engine. my only question is if itll work properly with my 06 infiniti G35? Anyone know the exact weight of the vq that in the 2003-2005 model sedan. I need one of these— like soon! 2006 Nissan 350Z began overheating. Radiator, water pump, chain tensioner & thermostat replaced. The heat still goes up quickly & lower radiator hose stays cold. WTF ? To me it looks the same but I was told that since they are not the same manufactured year , they are not the same. I have the same problem with my QX 4 ’01. Have changed everything twice: radiator, water pump, front and rear stats, fan. It will run forever at idle, but at a dead stop and I get on it, the needle jumps straight up. Any suggestions? My cousin who is a mechanic, feels it’s the cats not being able to handle the back pressure. The vehicle has 200,000 miles on it all highway.